NXTBoard, the Austin-based company that delivers innovative software and services to help governing boards achieve success, announced today the launch of its flagship product, the NXTBoard platform, the first-of-its-kind board portal that combines both board management and strategic planning features in a single, simple-to-use interface. The platform has been designed to help boards operate at maximum momentum, while achieving their goals. The NXTBoard platform enables members to plan all aspects of a board meeting and serves as a central repository for institutional knowledge. In addition, NXTBoard assists boards and its members in being more accountable, while also getting a single view of strategic plans as they align with board-determined goals. By leveraging NXTBoard, boards can monitor progress and more effectively assess and evaluate their senior leadership. NXTBoard also offers consulting services called Board Transformation Engagement that help boards implement governance frameworks and shift their management mindset, so that they can focus on driving results. NXTBoard’s consulting services are ideal for boards and board members with minimal boardroom experience, those with high member turnover or for any board that is struggling to achieve desired outcomes. The NXTBoard platform is securely hosted in the Amazon Web Services (AWS) cloud and can be accessed anytime, anywhere, on any device through any web browser. For more information or to request a demo, please visit www.nxtboard.com. Based in Austin, TX, NXTBoard delivers board software and consulting services transforming the way boards operate. 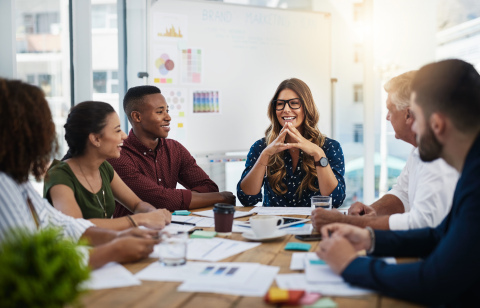 To go beyond board management and shift the focus from administering meetings to driving outcomes, NXTBoard allows users to operate at the highest level of governance today and maintain accountability on organizational outcomes.